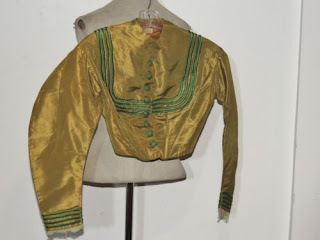 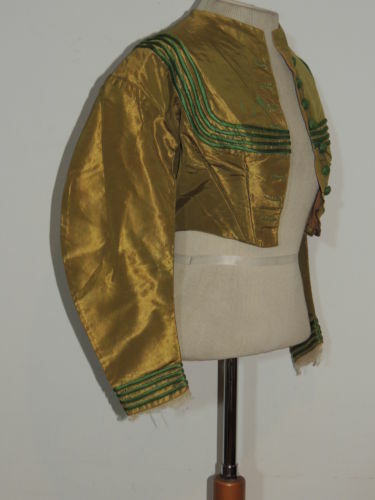 This Civil War bodice is made from an iridescent green silk taffeta. 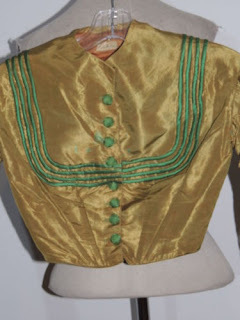 It has pretty cord covered buttons and is trimmed with emerald green satin piping. 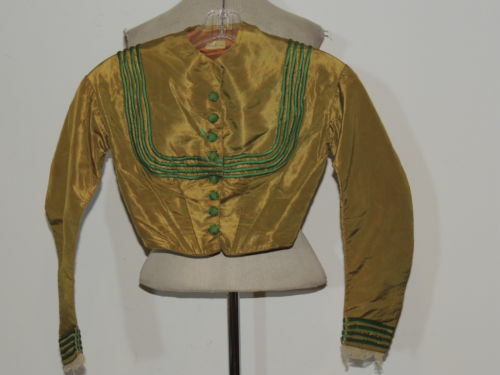 It's lined in brown cotton and has light boning. 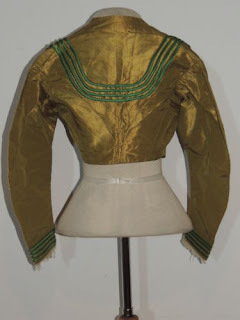 It has dropped shoulders with piping around the armhole seams. 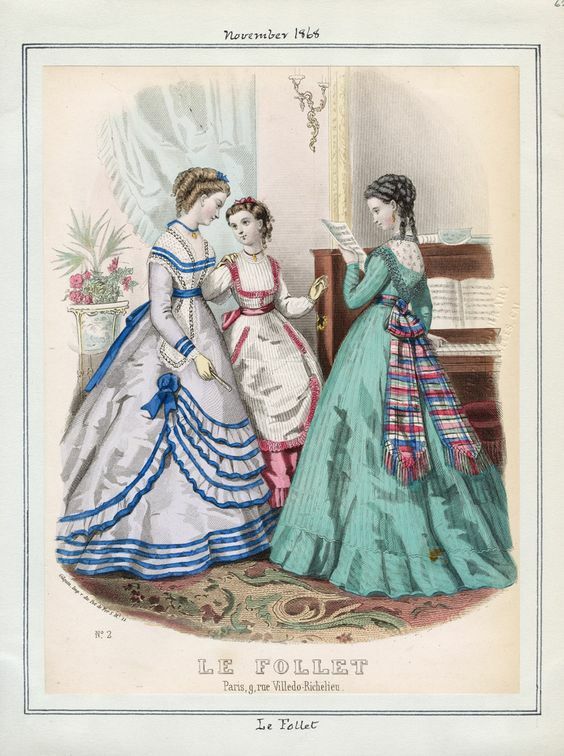 It has some green spots and the tulle ruffle around the wrists should be removed, very, very small, light under arm fade under one arm, but overall excellent. It measures 33 inches around the bust, waist is 23, across the back shoulder is 13 and is 15 inches long. 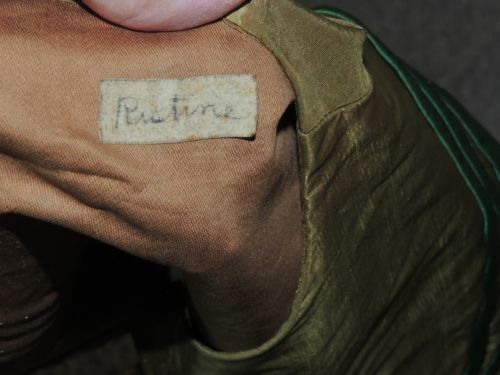 The name Ristine is printed on the back neck. My guess is this bodice might even be a bit earlier than the fashion plate but it's post American Civil War either way. 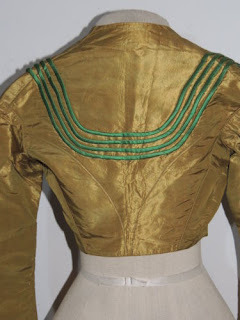 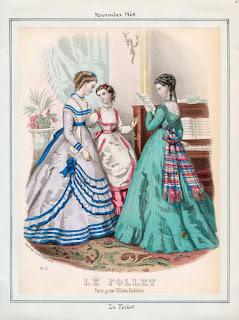 The shortness of the bodice gives that away as well as the trim lines - which just came into fashion as the Civil War was ending.